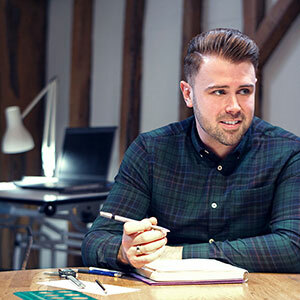 Mike surprised Natalie with a 'proposal in a box' and a weekend away to visit the Cambridge design studio. 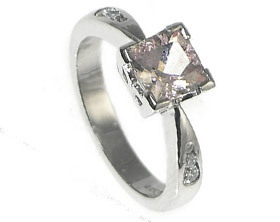 Natalie had a good idea of the styles she liked, delicacy being key. 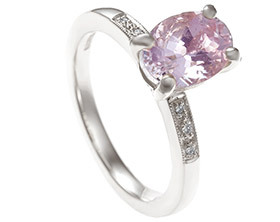 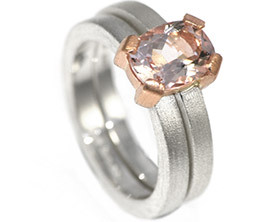 Together we designed this beautiful engagement ring featuring a 6x4mm 0.57ct oval cut morganite, which has been all-around set. 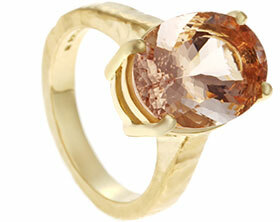 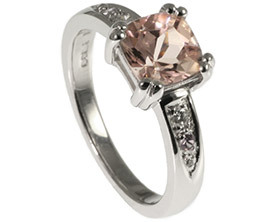 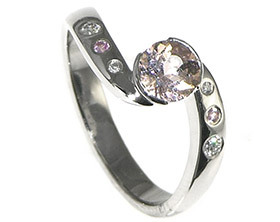 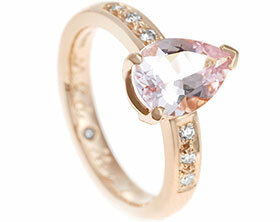 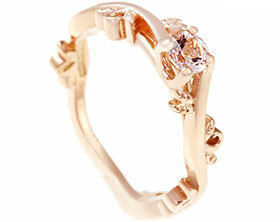 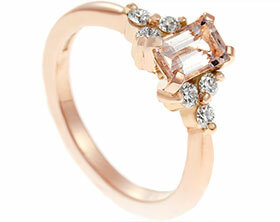 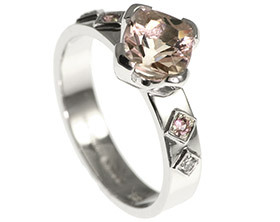 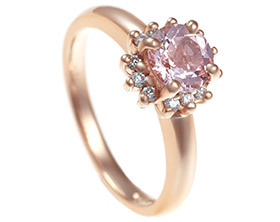 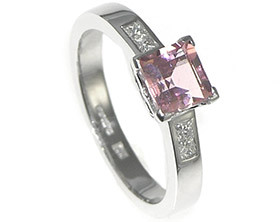 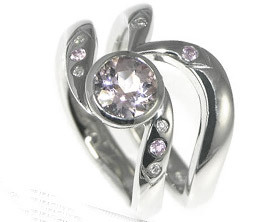 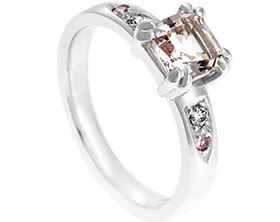 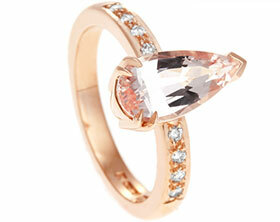 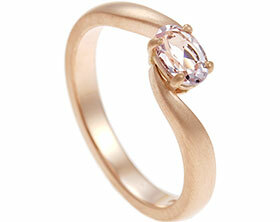 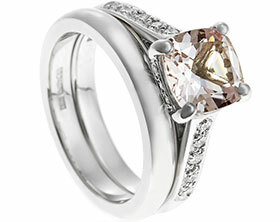 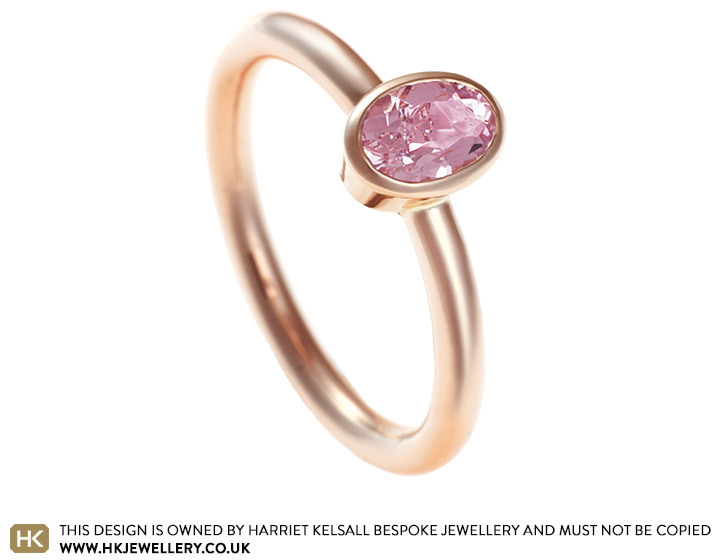 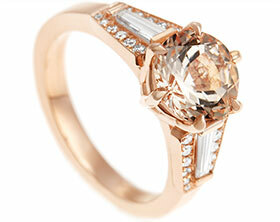 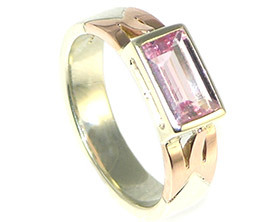 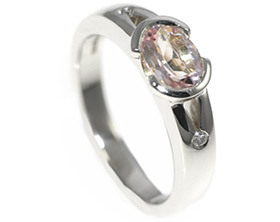 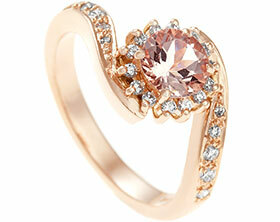 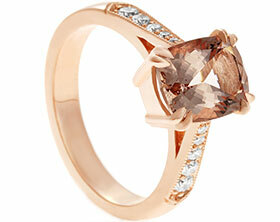 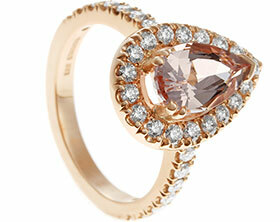 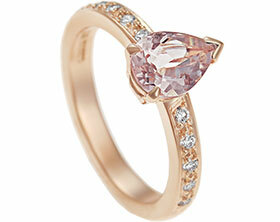 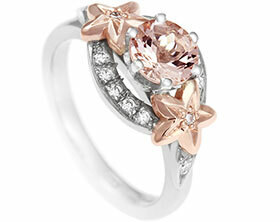 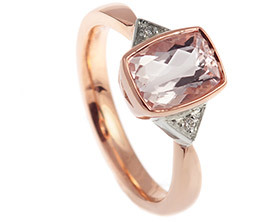 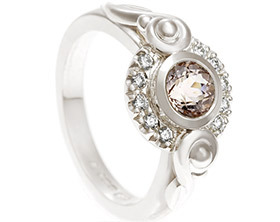 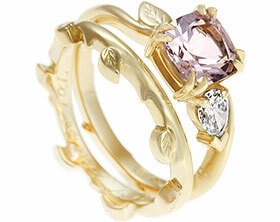 Natalie chose 9ct rose gold to really show off the beautiful colour of the central stone. 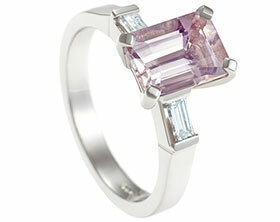 The 2mm wide halo band has been given a polished finish.